Phenomenally styled, this Dealer Certified 2016 Toyota Corolla LE Sedan is eye-catching in Slate Metallic! Powered by a 1.8 Liter 4 Cylinder that offers 132hp while perfectly matched with a seamless CVT for smooth passing. This ideal Front Wheel Drive Sedan helps you achieve near 38mpg on the open road and represents the gold standard in its class. The modern stance of our Corolla is accented by LED headlights.A perfect balance of efficiency and style, the interior of our LE boasts ample legroom and cutting-edge technology that is straightforward and user-friendly. Remote keyless entry, power door locks, climate control, and steering wheel audio controls make every ride feel first-class. You'll also enjoy the Entune Audio touchscreen with an integrated backup camera, Bluetooth, an auxiliary audio jack and a USB/iPod interface.This Toyota comes equipped with top-notch safety features such as the Star Safety system that adds peace of mind with stability and traction control, anti-lock brakes, and eight airbags. Safe and dependable, this Corolla LE is an all-around smart choice! Print this page and call us Now... We Know You Will Enjoy Your Test Drive Towards Ownership! Fun, Fast, and Transparent Buying Process! One look at this One Owner, Dealer Certified 2015 Toyota Camry XSE Sedan in Cosmic Gray Mica with 7597 miles below market average and you will be hooked! Powered by a 2.5 Liter 4 Cylinder that offers 178hp connected to a paddle-shifted 6 Speed Automatic transmission for easy passing maneuvers. This efficient Front Wheel Drive rewards you with nearly 35mpg on the open road and the confidence of sport-tuned suspension. The bold exterior of this Camry is accented by stately wheels, a sunroof, and a distinct front grille.The ergonomically designed interior of our XSE features Ultrasuede heated seats and an Entune Audio Plus touchscreen with Bluetooth phone and audio connectivity as well as a sound system with steering wheel mounted controls. 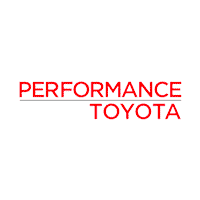 Confident handling, straightforward technology and lots of comfortable passenger space make this car an absolute delight to own.Toyota offers anti-lock brakes with brake assist, stability control, and an army of airbags combine to safeguard you in this impeccable car with a sterling reputation for reliability. Enjoy the smooth, quiet ride of this Camry XSE! Print this page and call us Now... We Know You Will Enjoy Your Test Drive Towards Ownership! Fun, Fast, and Transparent Buying Process! This One Owner Dealer Certified 2016 Toyota RAV4 LE AWD in Barcelona Red Metallic has 13905 miles below market average and is ready to hit the road! Powered by a 2.5 Liter 4 Cylinder that generates 176hp while perfectly matched to a smooth-shifting 6 Speed Automatic transmission for passing ease. This All Wheel Drive team rewards you with near 29mpg on the open road and a sure-footed ride that will have you looking for the long way home! Versatile and stylish, family workhorse has an attractive sculpted exterior that is accented by powerful wheels, automatic headlights, roof rails, rear privacy glass, and power folding mirrors.Once inside our LE's functional interior, you'll see a lowered floor that makes it easier for you to load up your gear and for the family dog to jump right in. Entune touchscreen audio with a backup camera and Bluetooth phone and audio connectivity will keep everyone happy and connected. Just imagine yourself comfortably cruising down the road in style in our RAV4!You'll feel safe and secure knowing that this sturdy Toyota will protect you and your family with anti-lock disc brakes, stability and traction control, whiplash-reducing front headrests, and plenty of airbags. Efficient, spacious and reliable, our RAV4 LE is a great option for your family. Get behind the wheel and you will know you've made the right choice! Print this page and call us Now... We Know You Will Enjoy Your Test Drive Towards Ownership! Fun, Fast, and Transparent Buying Process! This 2016 Toyota RAV4 XLE AWD is ready to roll in Black Currant Metallic with 3395 miles below market average! Powered by a 2.5 Liter 4 Cylinder that provides 176hp while teamed with a smooth-shifting 6 Speed Automatic transmission. You'll enjoy a smooth ride and score near 31mpg in this sure-footed All Wheel Drive. Just imagine yourself comfortably cruising down the road in style in our RAV4! Our family-friendly machine has an attractive sculpted exterior that is accented by alloy wheels, a roof-hinged liftgate, fog lights, roof rails, and heated side mirrors.Once inside our XLE, you can't help but notice the open feeling from the power sunroof and a lowered floor that makes it easier for you to load up your gear and for the family dog to jump right in. A touchscreen audio system, as well as Bluetooth phone and audio connectivity, will keep everyone happy and connected.You'll feel safe and secure knowing that this sturdy Toyota will protect you and your family with anti-lock disc brakes, stability and traction control, whiplash-reducing front headrests, a backup camera and plenty of airbags. With loads of interior space and unmatched practicality, our RAV4 XLE is a great option for your family. Print this page and call us Now... We Know You Will Enjoy Your Test Drive Towards Ownership! Fun, Fast, and Transparent Buying Process! Love the ride you're in with this One Owner, Dealer Certified 2016 Toyota RAV4 XLE AWD in Super White with 18417 miles below market average! Powered by a 2.5 Liter 4 Cylinder that provides 176hp while teamed with a smooth-shifting 6 Speed Automatic transmission. You'll enjoy a smooth ride and score near 31mpg in this sure-footed All Wheel Drive. Just imagine yourself comfortably cruising down the road in style in our RAV4! Our family-friendly machine has an attractive sculpted exterior that is accented by sharp wheels, a roof-hinged liftgate, fog lights, roof rails and heated side mirrors.Once inside our XLE, you can't help but notice the open feeling from the power sunroof and a lowered floor that makes it easier for you to load up your gear and for the family dog to jump right in. A touchscreen audio system, as well as Bluetooth phone and audio connectivity, will keep everyone happy and connected.You'll feel safe and secure knowing that this sturdy Toyota will protect you and your family with anti-lock disc brakes, stability and traction control, whiplash-reducing front headrests, rearview camera and plenty of airbags. With loads of interior space and unmatched practicality, our RAV4 XLE is a great option for your family! Print this page and call us Now... We Know You Will Enjoy Your Test Drive Towards Ownership! Fun, Fast, and Transparent Buying Process! This One Owner Dealer Certified 2017 Toyota RAV4 XLE AWD in Magnetic Gray Metallic with 12362 miles below market average is the smart choice! Powered by a spirited 2.5 Liter 4 Cylinder that offers 176hp while paired with a 6 Speed Automatic transmission that features ECO and sport modes. Pick your destination and get going with this All Wheel Drive SUV; you'll love the smooth, confident handling and will be smiling with an excellent efficiency of near 30mpg on the highway. Our popular RAV4 has sporty good looks that encourage you to get behind the wheel and take command of your day! Roof rails, rear privacy glass, and a rear spoiler highlight the exterior.Take a look at our photos to see this XLE radiates premium good looks inside and out with a spacious cabin equipped to manage your daily grind. You'll appreciate a height-adjustable power lift-gate, dual-zone automatic climate controls, and an Entune Audio system. Add a power sunroof, keyless ignition/entry, cargo mat, available Sirius XM satellite radio, and leather-wrapped multifunction steering wheel mounted controls.Designed to support your awareness and keep you out of harm's way, our Toyota Safety Sense combines a pre-collision system, a backup camera, lane departure warning, dynamic radar cruise control, and other safety features. With dynamic good looks, a get-it-done demeanor, and optimal versatility, our RAV4 XLE is a practically perfect choice! Print this page and call us Now... We Know You Will Enjoy Your Test Drive Towards Ownership! Fun, Fast, and Transparent Buying Process! Stylish, smart, and adventurous, our One Owner, Dealer Certified 2016 Toyota RAV4 SE 4WD in a beautiful Silver Sky Metallic with 9763 miles below market average! Powered by a 2.5 Liter 4 Cylinder that offers 176hp while teamed with a paddle-shifted 6 Speed Automatic transmission for easy passing maneuvers. You'll enjoy this smooth ride of this Four Wheel Drive team and score near 29mpg on the highway in this sure-footed SUV as you imagine yourself comfortably cruising down the road in style! Our family-friendly RAV4 has an attractive sculpted exterior that is accented by LED daytime running lights, LED tail lamps, five double spoke alloy wheels, rear privacy glass, roof rails, rear spoiler, power liftgate, and a distinct grille.Inside our SE, be amazed by the cavernous cargo space and a lowered floor that makes it easier for you to load up your gear and for the family dog to jump right in. Settle in and relax in the supportive heated front seats, open the power sunroof, and enjoy amenities such as push-button start, Entune Audio Plus, iPod connectivity, Bluetooth, Siri Eyes Free, available Sirius XM satellite radio and more! Add dual-zone automatic climate controls, SYNC and leather-wrapped multifunction steering wheel mounted controls.You'll feel safe and secure knowing that this Toyota will protect you and your family with anti-lock disc brakes, stability and traction control, whiplash-reducing front headrests, a backup camera and plenty of airbags. With loads of interior space and unmatched practicality, our RAV4 SE is a great option for your family. Get behind the wheel; you will know you've made the right choice! Print this page and call us Now... We Know You Will Enjoy Your Test Drive Towards Ownership! Fun, Fast, and Transparent Buying Process! Stylish, smart, and adventurous, our One Owner, Dealer Certified 2016 Toyota RAV4 SE 4WD SUV in a beautiful Super White has 16727 miles below market average! Powered by a 2.5 Liter 4 Cylinder that offers 176hp while teamed with a paddle-shifted 6 Speed Automatic transmission for easy passing maneuvers. You'll enjoy this smooth ride or this Four Wheel Drive and score near 39mpg in this sure-footed SUV as you imagine yourself comfortably cruising down the road in style in our RAV4! With an attractive sculpted exterior, this Toyota is accented by LED daytime running lights, LED tail lamps, roof rails, rear privacy glass, rear spoiler, power liftgate, and a distinct grille.Inside our SE, be amazed by the cavernous cargo space and a lowered floor that makes it easier for you to load up your gear and for the family dog to jump right in. Settle in and relax in the supportive heated leather front seats, open the power sunroof, and enjoy amenities such as Entune Audio Plus with connected full-color navigation, iPod connectivity, Bluetooth, Siri Eyes Free, available Sirius XM satellite radio and more! Add dual-zone automatic climate controls, keyless ignition/entry, cargo mat, driver's memory seat and leather-wrapped multifunction steering wheel mounted controls.You'll feel safe and secure knowing that this Toyota will protect you and your family with anti-lock disc brakes, stability and traction control, whiplash-reducing front headrests, a backup camera, lane departure warning, and plenty of airbags. With loads of interior space and unmatched practicality, our RAV4 SE is a great option for your family. Get behind the wheel; you'll know you've made the right choice! Print this page and call us Now... We Know You Will Enjoy Your Test Drive Towards Ownership! Fun, Fast, and Transparent Buying Process! Love every mile you take in this 2018 Toyota RAV4 XLE AWD SUV showing off in Ruby Flare Pearl with 17142 miles below market average! Powered by a 2.5 Liter 4 Cylinder generating 176hp connected to the 6 Speed Automatic transmission that features ECO and sport modes. Pick your destination and get going; you'll love the smooth, confident handling of our All Wheel Drive SUV and will be smiling with the excellent efficiency of near 30mpg on the highway. Our popular Crossover has sporty good looks that encourage you to get behind the wheel and take command of your day!This XLE radiates premium good looks inside and out with a spacious leather filled cabin equipped to manage your daily grind. You'll appreciate a sunroof, height-adjustable power lift-gate, remote keyless entry, dual-zone automatic climate control, Entune Audio Plus with Connected Navigation App multi-media bundle/Bluetooth/voice recognition, and an integrated backup camera.Toyota designed this RAV4 to support your awareness and keep you out of harm's way, our Toyota Safety Sense combines a pre-collision system, lane departure alert, dynamic radar cruise control, and other safety features. With dynamic good looks, a get-it-done demeanor, and optimal versatility, our RAV4 XLE is a practically perfect choice! Print this page and call us Now... We Know You Will Enjoy Your Test Drive Towards Ownership! Fun, Fast, and Transparent Buying Process! Be the most fashion-forward family on the block with this 2015 Toyota Sienna XLE AWD in Super White with 18009 miles below market average! Powered by a proven 3.5 Liter V6 that generates a healthy 266hp on demand while perfectly matched with a smooth-shifting 6 Speed Automatic transmission for easy passing. The entire crew will enjoy a refined All Wheel Drive that is low on road noise while scoring near 24mpg on the highway while rewarding you with a sure-footed stance even when road conditions are less than ideal! Our Sienna has style for days with a distinct metallic front grille, a sunroof, dual power-sliding doors, and sleek wheels.The XLE interior offers leather-trimmed heated front seats and a 60/40 Split and Stow 3rd Row seat. Enjoy the convenience of Smart Key push-button start, steering wheel audio controls, three-zone automatic climate control, and an integrated backup camera. You'll maintain a seamless connection to your digital world via Bluetooth wireless technology and Entune Audio Plus with an easy-to-use touchscreen display and HD/Sirius XM All Access Radio. Parents love the full-color Navigation system while the kids enjoy watching their favorite movie on the flip-down DVD entertainment system.This responsibly-built minivan from Toyota has anti-lock brakes, stability and traction controls, and plenty of airbags to safeguard you and your family. Roomy, comfortable and with a stellar reputation for reliability, our Sienna XLE is an excellent choice! Print this page and call us Now... We Know You Will Enjoy Your Test Drive Towards Ownership! Fun, Fast, and Transparent Buying Process! Get set for an adventure in this One Owner, Dealer Certified 2016 Toyota Sienna XLE AWD Van presented in Silver Sky Metallic with 2211 miles below market average! Motivated by a powerful 3.5 Liter V6 that provides 266hp with its smooth-shifting 6 Speed Automatic transmission for easy passing power. With our All Wheel Drive, you can load up the gang and enjoy this sure-footed ride while scoring near 23mpg on the highway. Roll up in style in your Sienna with its roof rails, dual power sliding doors, a sunroof, a power liftgate, and bold wheels.On par with a luxury sedan, the XLE-trimmed interior features comfortable heated leather front seating and offers seating versatility with second-row tip-up/long-slide seats and 60/40 split and stow third-row seats. Enjoy the convenience of push-button start, three-zone automatic climate control and an LCD multi-information display as you maintain a seamless connection to your digital world with Entune Audio Plus with Connected Navigation App that includes Bluetooth, Siri Eyes Free, a high res touchscreen, media interface, and integrated backup camera.This responsibly-built minivan by Toyota has a blind-spot monitor, anti-lock disc brakes, stability and traction controls, and plenty of airbags to safeguard you and your family. Anyone who says minivans aren't cool hasn't been behind the wheel of our Sienna! Roomy, comfortable and with a stellar reputation for reliability, our Sienna XLE is an excellent choice! Print this page and call us Now... We Know You Will Enjoy Your Test Drive Towards Ownership! Fun, Fast, and Transparent Buying Process! Look radiant behind the wheel of this One Owner, Dealer Certified 2018 Toyota RAV4 Limited AWD in Black! Powered by a 2.5 Liter 4 Cylinder that generates 176hp while connected to the 6 Speed Automatic transmission that features ECO and sport modes. Pick your destination with our All Wheel Drive and get going; you'll love the smooth, confident handling and will be smiling with an excellent efficiency of near 30mpg.Our popular crossover has sporty good looks that encourage you to get behind the wheel and expand your horizons! Take a look at our photos to see this Limited radiates premium good looks inside and out with a spacious cabin equipped to manage your daily grind. Appreciate a height-adjustable power lift-gate, remote keyless entry, SofTex trimmed heated front seats, a sunroof, and dual-zone automatic climate control. Next-level connectivity is close at hand with our Entune Premium Audio with integrated full-color navigation and App suite that offers a high-resolution touchscreen, incredible audio, voice recognition, an integrated backup camera and more!Designed to support your awareness and keep you out of harm's way, our Toyota Safety Sense combines a pre-collision system, lane departure alert, dynamic radar cruise control, and other safety features. With dynamic good looks, a get-it-done demeanor, and optimal versatility, our RAV4 Limited is a practically perfect choice! Print this page and call us Now... We Know You Will Enjoy Your Test Drive Towards Ownership! Fun, Fast, and Transparent Buying Process!